Have you seen the Bible Project video series? I’ve been so impressed at this animated series that I just had to share. Their mission is to “show how the Bible is one unified story that leads to Jesus” and they do it very well. What I like the most is that these brief, 3-5 minute videos are packed with Hebraic insights. The authors (Tim Mackie and Jon Collins) have done a lot of study on the ancient biblical context and it shows. They’ve been doing a series on Hebrew words, which started with the words of the Shema. (“Love,” “heart,” “soul,” “strength”) Having written a lot about Hebrew words myself, including the words of the Shema, I appreciated the richness of this theme. 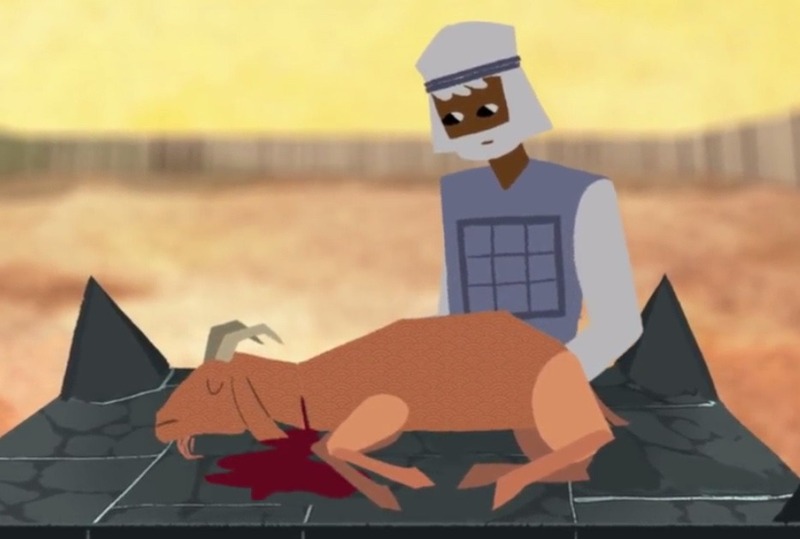 Check out their series called How to Read the Bible, which contains the video below. I was amazed at how it overlapped with my recent book, Reading the Bible with Rabbi Jesus. The Bible Project also records a podcast where they explore topics in depth. Recently they discussed how the Greek idea of the “soul” as a disembodied ghost has overshadowed our reading of Scripture. We’ve misunderstood that New Testament writers were thinking in Hebrew categories of nephesh (life/being/person) and ruach (spirit/wind) even as they were writing in Greek. This is not an easy topic to sort out, but Mackie does it well. Listen to the podcast here. Overall, I highly recommend the Bible Project. It’s one of the best new things out there. I was delighted to see you recommend The Bible Project. I’m a small group leader at a local Coffee Break women’s Bible study. We have over 200 active members, some lifelong students of the Word and some who never opened a Bible beforehand coming to us. We discovered TBP in the last year or so and have been very impressed at how informative they are without being preachy or too complex. Thy have a wide variety of topics, and since they are short we’ve been able to use them quite a few times for our openings before splitting up into groups.